The personnel at Campbell Tile Co. enjoy the personal relationships that are formed during the planning and installation of many varied tile and natural stone products for your home. If the customer desires, we are experienced in assisting with design ideas, product selections and, most importantly, the proper installation procedures. We strive to make the experience an enjoyable one. We believe the true assets of any organization are it’s people. We have a staff and team of dedicated and skilled workers. Our culture encourages the quest for excellence and progressive and futuristic attitude. When creating a visually appealing and effective outdoor or indoor living area, the quality of service is essential. We not only provide the product, we design and install your updates to your home. If you are adding a fireplace, patio or covering existing brick, you will be amazed at our craftsmanship. We take pride in using stone and synthetic materials to update your living area. It is an art to us. About Us: We believe that God is the finest craftsman there has ever been. At Upstate Granite Solutions, we take stone from a raw product and carefully craft each piece with precision for our customers. 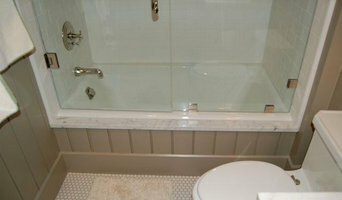 We work with Granite, Marble, Quartz, Onyx, and Soapstone. We have experience building bar tops, islands, countertops, backsplashes, fireplace surrounds, and more. Our experienced team has the necessary skills and experience to take on any project, large or small. Stonework is a timeless investment and is easy to clean. We make this natural luxury affordable for you. The Man Behind The Granite Upstate Granite Solutions is a product of passion, experience, and purpose. The journey of our President and Founder, Paul Nichols, is atypical for our stone industry. Born to missionary parents, Paul grew accustomed to moving new places and trying new things. The Nichols family landed in Greenville, South Carolina during Paul’s teenage years. These years proved to be the building blocks of what would become Upstate Granite Solutions. Paul spent his teenage years developing a working knowledge and passion for construction and remodeling homes. Paul’s passion for stone work was ignited on a remodeling project that introduced him to the material. He was drawn to the individuality, durability, and natural beauty of stone. 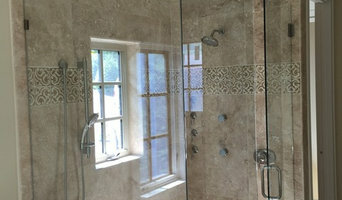 The Upstate Granite Solutions team boasts over three decades of stonework and construction experience. Upon completion of his bachelor’s degree, Paul answered the call to serve his country. As an Armor Officer in the United States Army, Paul achieved the rank of First Lieutenant before medically retiring in 2014. Perhaps the greatest product of his military service, though, is meeting his wife, Kelly, while stationed at Fort Benning, Georgia. Paul takes great pride in being a husband to Kelly, father to Adam James, and being a small business owner in Greenville. Paul’s greatest desire for Upstate Granite Solutions is to bring you: ROCK. SOLID. SERVICE. Viktor’s Granite & Marble is local marble and granite countertop fabrication and installation company for both residential and commercial projects serving in Western North Carolina and Upstate South Carolina areas. We use state of the art fabrication equipment and top quality granite & marble to ensure the perfection of your project. With no subcontractors or consultants, we engineer our granite & marble from cut to polish at our conveniently located shop, just south of beautiful city of Asheville, North Carolina. Viktor's Granite & Marble began in 2004 and specializes in the highest quality fabrication and installation of kitchen countertops and bathroom vanity tops. We are very detail-oriented with our work and prioritize the customer first and foremost. One thing that sets our company apart from the rest is our exclusive selection of Granite, Marble, Travertine, Soapstone & Onyx over hundred colors in-stock (standard and premium grade) stored inside our 20,000 sq.ft facility. Most companies have limited selection of stone on hand. You can choose your material by going through the tile samples, however nothing will beat standing up close to the natural beauty, that may become part of your kitchen! We will make sure that you get your dream granite countertop with the edge, the color and the texture exactly the way you want it. 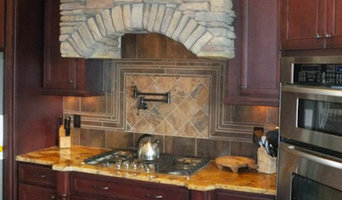 Kitchen & Granite Imports has the best prices and quality in the Asheville area. The Kitchen & Granite Imports team has more than 30 years of experience with custom granite projects. 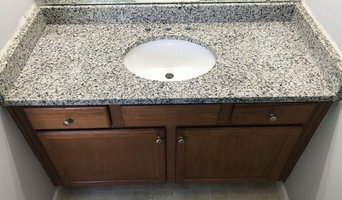 We fabricate and install beautiful countertops in Asheville, Arden, Fletcher, Hendersonville, Flat Rock, Waynesville, and many other locations. 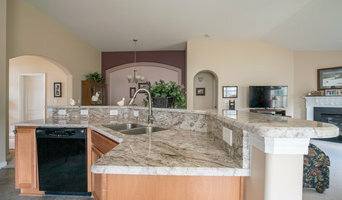 We pride ourselves in providing hand crafted granite and stone countertops along with outstanding customer service. Our services include fabricating countertops, kitchen cabinet retail, and much more. The Kitchen & Granite Imports experience involves a staff that is professional, hands-on, and full of expertise. Kitchen & Granite Imports is one of the few companies where every job goes through the owner. Our mission is to provide the best quality work in the Asheville area. Visit our showroom to learn how to start creating the kitchen of your dreams! Baker Floor Sanding & Installation & Ceramic Tile is where we offer quality flooring for all your needs. We pride ourselves on being South Carolina's best flooring specialists, and are dedicated to providing quality products and workmanship to every customer. With over six decades of experience, we are dedicated to providing you with the personalized attention and the detail-oriented results that you deserve! SLABCO Marble and Granite is an importer and distributor of Granite Countertop Slabs as well as Marble, Travertine, Soapstone, Onyx, and Quartzite. We are a family owned and operated company with the main emphasis on quality. We stock thousands of granite countertop slabs to ensure you a superb stone at a competitive price. We stock over 300 colors of granite from around the globe. The quality of our granite countertop slabs and other stone slabs combined with our dependable service make us your best stone source in the Southeast United States. Insist that your builder or contractor consider SLABCO when selecting marble or granite countertops for your home or building project.